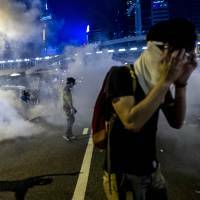 HONG KONG - Pro-democracy protesters wearing masks and wielding umbrellas to protect against pepper spray and tear gas expanded their rallies throughout Hong Kong on Monday, defying calls to disperse in a major pushback against Beijing’s decision to limit democratic reforms in the Asian financial hub. Riot police withdrew from the extraordinary scene of chaotic tear gas-fueled clashes that erupted the evening before and the government asked the student-led protesters to disperse peacefully. 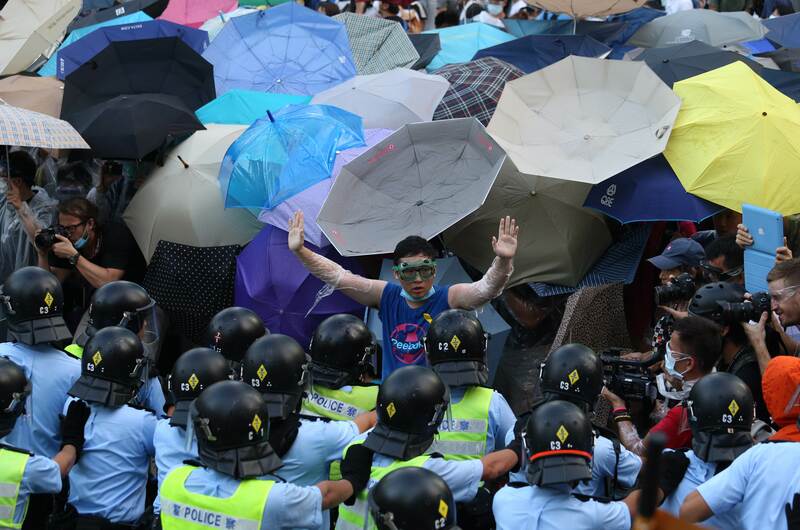 But the demonstrators, whose use of umbrellas, plastic wrap and other improvised defenses has led some to dub their movement the “Umbrella Revolution,” remained camped out on a normally busy highway near the Hong Kong government headquarters. Supporters were using the phrase on social media. Police had tried earlier to negotiate, with an officer asking them through a bullhorn to clear the way for the commuters. A protester, using the group’s own speaker system, responded by saying that they wanted Hong Kong’s Chief Executive Leung Chun-ying to demand a genuine choice for the territory’s voters. “Do something good for Hong Kong. We want real democracy!” he shouted. 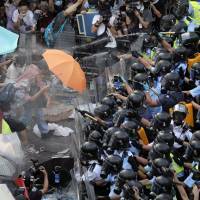 China has called the protests illegal and endorsed the Hong Kong government’s crackdown. 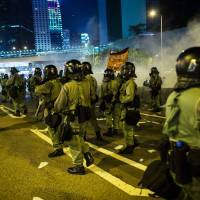 The clashes, images of which have been beamed around the world, are undermining the city’s image as a safe financial haven, and raised the stakes of the face-off against President Xi Jinping’s government. Beijing has taken a hard line against threats to the Communist Party’s monopoly on power, including clamping down on dissidents and Muslim Uighur separatists in the country’s far west. 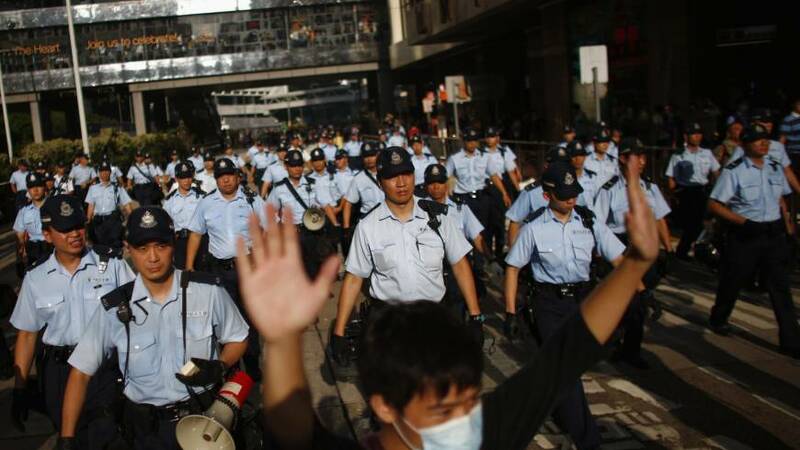 The mass protests are the strongest challenge yet to Beijing’s decision last month to reject open nominations for candidates under proposed guidelines for the first-ever elections for Hong Kong’s leader, promised for 2017. Instead, candidates must continue to be hand-picked by a committee of mostly local pro-Beijing tycoons — a move that many residents viewed as reneging on promises to allow greater democracy in the semi-autonomous territory. With rumors swirling, the Beijing-backed and deeply unpopular Leung reassured the public that speculation that the Chinese army might intervene was untrue. 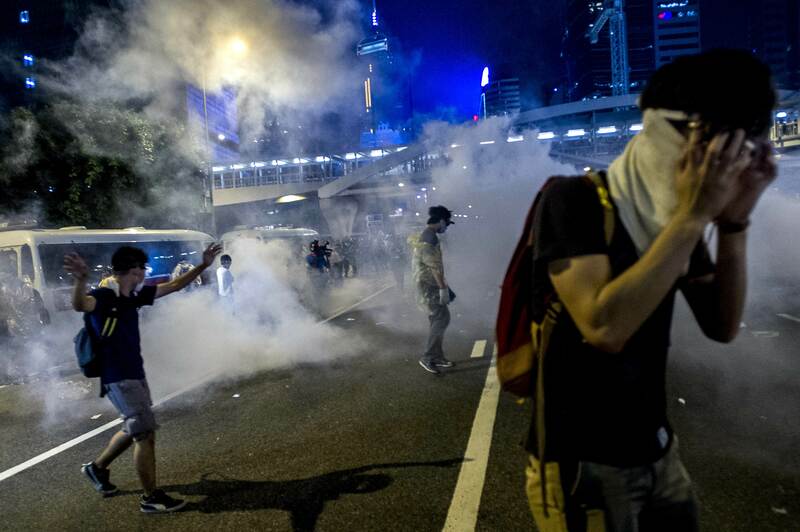 To ward off tear gas, demonstrators used homemade defenses such as plastic wrap, which they used to cover their face and arms, as well as goggles and surgical masks. 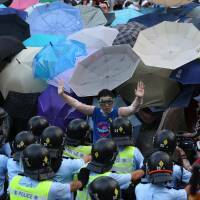 But umbrellas, used to deflect pepper spray, have become the movement’s most visible symbol. They were the main line of defense Sunday for a huge crowd demonstrators trying to push past barricades manned by police dousing the crowd with pepper spray from backpack sprayers. 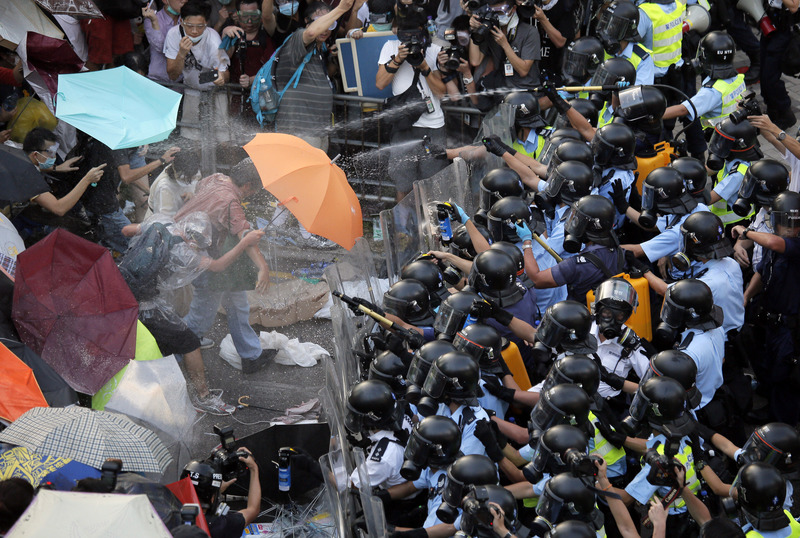 As the crowd surged forward, officers tore umbrellas away one by one and threw them aside. Supporters donated new umbrellas, which were distributed to those needing them at stations around the protest zone. They also did double duty, providing shade from the blazing sun. The protest has been spearheaded largely by college and university-age activists but has gathered momentum among a broad range of people from high school students to the elderly. 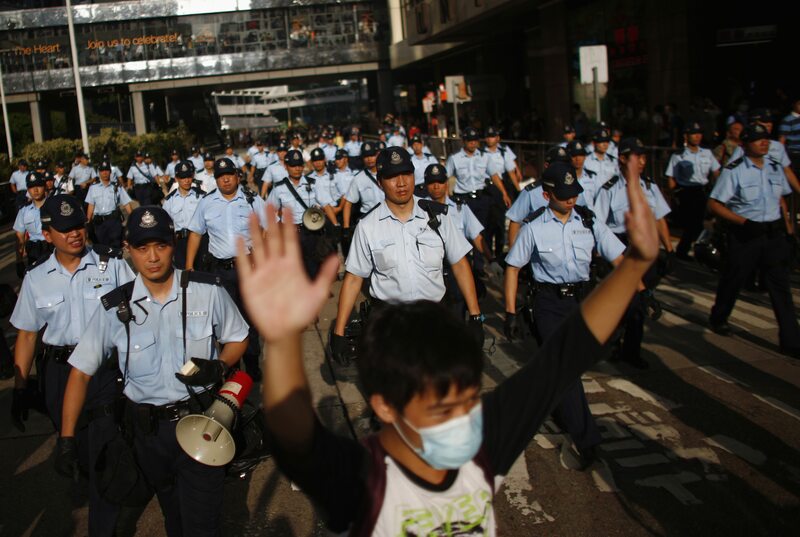 Protesters also occupied streets in other parts of Hong Kong Island, including the upscale shopping area of Causeway Bay as well as across the harbor in densely populated Mong Kok on the Kowloon peninsula. More than 200 bus routes have been canceled or diverted in a city dependent on public transport. Subway exits have also been closed or blocked near protest area. 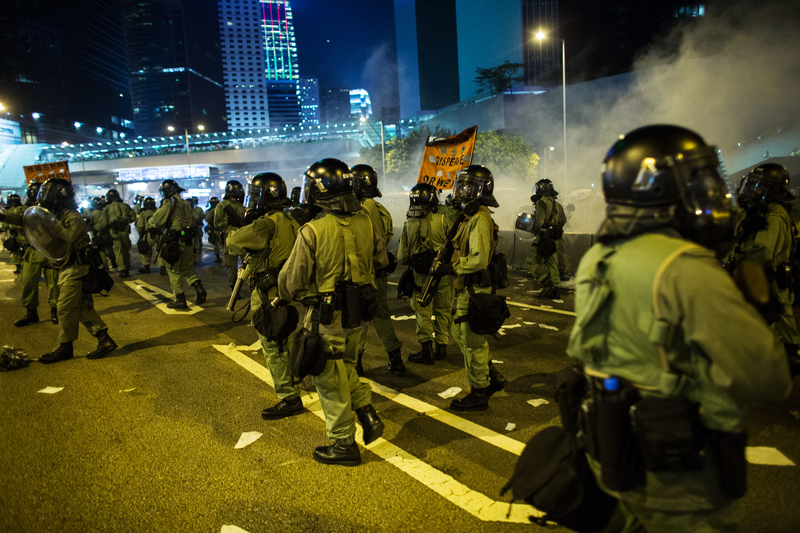 After China took control of Hong Kong from the British in 1997, it agreed to a policy of “one country, two systems” that allowed the city a high degree of control over its own affairs and kept in place liberties unseen on the mainland. 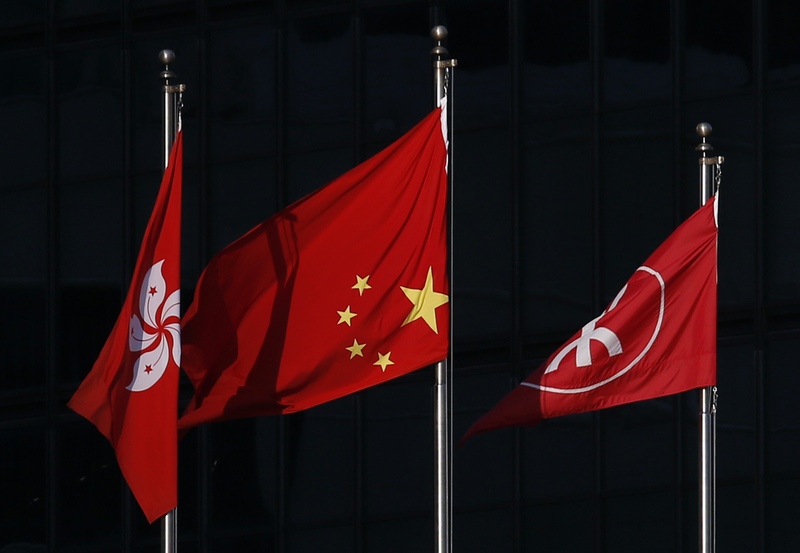 It also promised the city’s leader would eventually be chosen through “universal suffrage,” a pledge that Hong Kongers now say Beijing is failing to keep. While it was under British rule, Hong Kong’s leader was chosen by London in an arrangement that faced virtually no opposition. But now, residents want a greater say in their own government and future. Momentum for the protests started building after university and college students began a class boycott last Monday, which they said would continue until officials meet their demands for reforming the local legislature and withdrawing the proposal to screen election candidates. 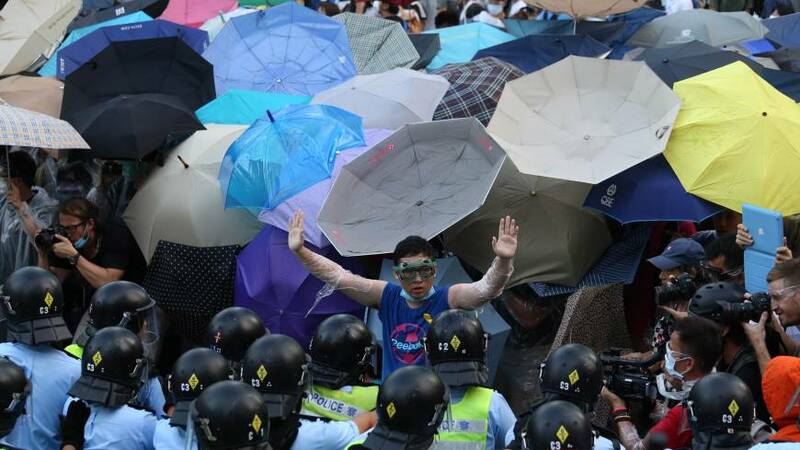 Occupy Central issued a statement Monday calling on Leung to resign and saying his “non-response to the people’s demands has driven Hong Kong into a crisis of disorder.” The statement added that the protest was now “a spontaneous movement” of all Hong Kong people.